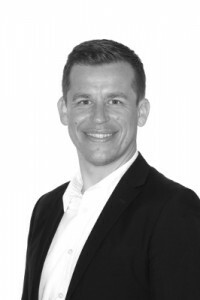 Lars is CEO and partner in GTDnordic Danmark, the exclusive franchisee for Getting Things Done® (GTD) in Denmark. Furthermore he is Denmark’s only certified Getting Things Done® (GTD) Trainer offering seminars for companies and individuals for people interested in learning the art of stress free productivity. To learn more, please go to GTDnordic.dk or write to me directly atlars.henriksen@gtdnordic.dk. Alternatively, you can visit the Danish GTD User Group on LinkedIn, watch our video about GTD in 2 minutes (in Danish) or see the official gettingthingsdone.com website for more information. For Danish GTD’ers or anyone else interested in GTD, we also arrange recurring meetings (“Meetups”) in both Copenhagen and Aarhus, which you can find here and here respectively. This page was formerly used as a company page for Lars Henriksen Consulting, Lars’ personal consulting business, which is now closed to focus on the above.